Moldavites are very homogeneous compared to other natural glasses. Moldavites don’t contain unmelted mineral grains and crystallites – thanks to the fact that moldavites origin at high temperature. Moldavites have fluid-like texture. Fluidal arrangement is the basic attribute of the moldavite texture. It shows the lines of flow of the molten material before solidification. Fluidal texture varies depending on the shape. At oblong moldavites it usually goes in the direction of the elongation. At other shapes the orientation varies. Fluidal texture was probably created in a greater moldavite mass and not while individual moldavites were being created. Thanks to good transparency inner structure can be clearly seen when we immerse smaller moldavites in immersion liquid (liquid with the same refraction index – e.g.water, linseed oil, ethanol, toluen etc.) 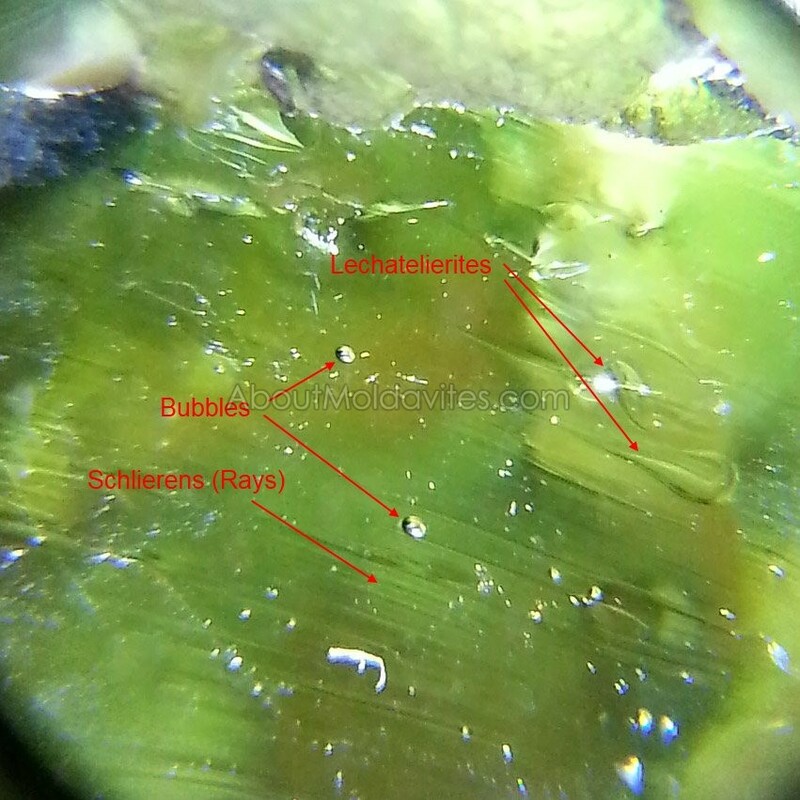 However, the best way to study fluidal texture is to watch polished plates of moldavites with a microscope. We can see lechatelierites, schlierens, small bubbles (oblong or organized in the direction of fluid texture) and channels (very elongated bubbles in the shape of long tubes) which are oriented in the same way as the fluid texture. Fluid texture is also obvious on the surface of some moldavites. On some of them a narrow twisted channel can be seen near the surface. O others the fluid texture is visible in their sculpting. Usually it is most evident at fragments and partial shapes. Those shape were created millions of years ago by breaking of the primary shapes. 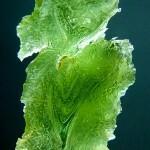 The inner part of a moldavite was exposed to the effect of the environment. Acidic and alcalic solutions from the bedrock etched into moldavites their typical texture (sculptured surface). 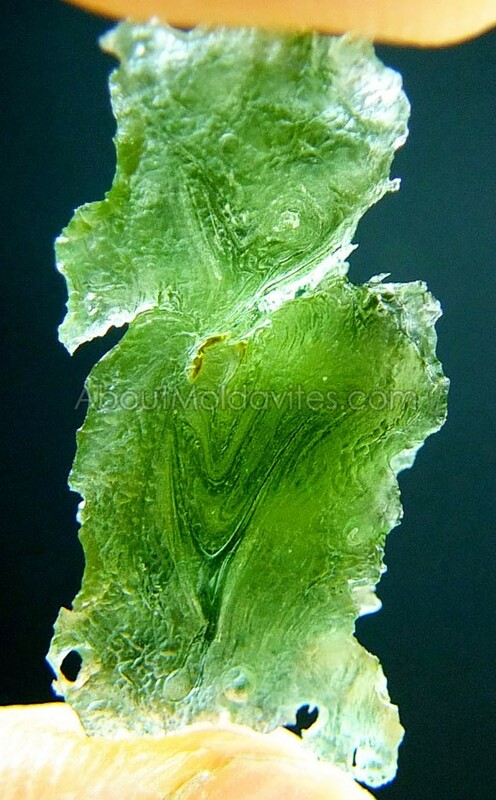 Thanks to different chemical composition of individual layers and fibers of fluidal texture of a moldavite the resistance to etching also varies. Thus their fluid texture was highlighted. Similarly, artificial etching of polished parts of a moldavite is used for highlighting the flow structure. 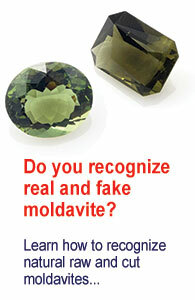 A moldavite is immersed for 1 to 3 hours into 2% solution of HF (Hydrofluoric acid).